Land, Air, Water Resources & Environmental Engr. Dr. Zhang, senior automation engineer and director of the Center for Precision & Automated Agricultural Systems (CPAAS) located at Prosser, WA, works in the BSysE Agricultural Automation Engineering Research emphasis area. He is primarily interested in Agricultural Machinery Automation (Automated and autonomous agricultural machinery technologies, intelligent agricultural machinery controls), and in Agriculture Automation (On-machinery crop health sensing technologies, machinery-area network technologies, agricultural infotronics technologies). 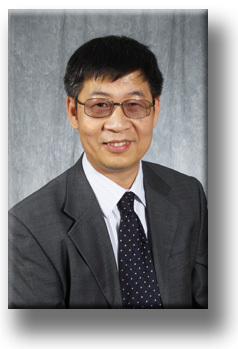 Please visit Dr. Zhang's research web site for more information about his current work in specialty crop production.